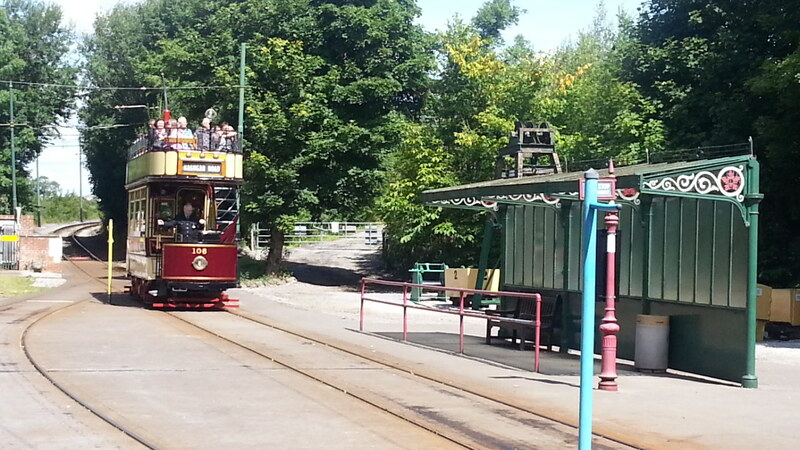 There’s more to Crich Tramway Museum then just Trams.Although the tram displays are a big part of the day, as is spending an old penny on all day tram ticket and riding up and down the line, there are also other things to do. When we visited, we started off with coffee and cake in the tea room and then had a tram ride to the end of the line. From there we explored a display of mining in the area and then took a woodland walk back towards the start. The Woodland Trail is decorated with beautiful carvings of everything from wizards and fairy mushrooms to the Green Man and even a large troll emerging from the earth! We walked past a children’s play area and through the picnic area back to where we had first got the Tram. After that we enjoyed a delicious lunch, a visit to the old-fashioned sweet shop, a mooch around the gift shop and then explored the exhibitions of the trams. We learnt about the social history of the time of the trams (it’s the only museum I’ve ever been to with a replica pile of horse manure as a key feature of a display!) and how trams have changed over the years. We didn’t have climb up to the memorial on the hill which dominates the landscape so that will have to wait for next time. 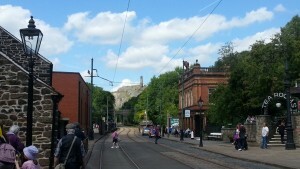 Whether you are old enough to remember trams from your childhood, or whether, like me, you only know them from old photos, this museum is definitely a place to visit more than once.